Knee Injuries Archives - Dr. Jeff Stickney, M.D. Though the meniscus is just a small part of the knee, it plays a very important biomechanical role in regular knee function including load bearing, shock absorption, and joint stability. Unfortunately, meniscus tears are one of the most common injuries orthopedic surgeons encounter, and thus, partial meniscectomy is one of the most common procedures performed. But not all tears require surgery. 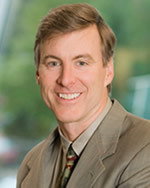 In fact, according to Biomechanics and Clinical Outcomes of Partial Meniscectomy by Freeley, Briant T., MD; Lau, Brian C. MD published in Journal of the American Academy of Orthopaedic Surgeons, an MRI study found that 61% of aging asymptomatic patients had a meniscus tear identified on imaging. Because orthopedic physicians must identify patients who will likely benefit from a partial meniscectomy, it’s vital that they understand the biomechanical implications and clinical outcomes of partial meniscectomy. As a patient, it’s always best to be educated on the latest research as well, so you can be an advocate for your own health. For cases that do require partial meniscectomies, there has been extensive research conducted evaluating the biomechanical consequences and clinical outcomes. It was found that as the portion of the meniscus that is removed increases, the greater the contact pressure experienced by the Articular cartilage attached to the bone. This can lead to altered knee mechanics and early cartilage wear. However; leaving a mobile meniscus tear un treated in an otherwise healthy knee, which is creating mechanical symptoms of popping or locking, can result in further tearing of the meniscus and early wear of the cartilage above and below the tear. This leads to early arthritis. It’s important to note that the use of partial meniscectomy to manage degenerative meniscus tears in knees with mild preexisting arthritis and mechanical symptoms can be beneficial; however, its routine use in the degenerative, arthritic knees is not likely to provide long term benefit. Physical therapy may be more successful in this situation . In younger age groups, partial meniscectomies may provide long-term symptom relief, earlier return to activity, and lower revision surgery rate compared with meniscal repair. If a large peripheral tear in the vascular part of the meniscus is present in a young person this would be where meniscal repair can result in a near normal knee long term. Perhaps the most valuable takeaway from this biomechanical study is a greater understanding of the implications of meniscectomy. Orthopedic surgeons must subscribe to the current principle of maintaining as much meniscal tissue as possible. Partial meniscectomy remains a mainstay of treatment for unstable, central meniscus tears and offers favorable clinical outcomes with a low risk to patients when done correctly. Treatment should always be patient specific in a shared decision-making process with the patient.